CWC's Super Dyna Polypro ropes have a non-torque construction along with excellent UV and abrasion resistance. 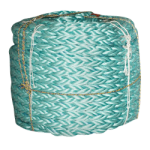 The materials allow the rope to be buoyant while not taking away from the tensile strength. 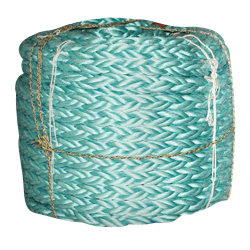 The rope is chemical resistant and won’t develop rot or mildew.